The Walk-In Greenhouse is great for those gardeners wishing to start the growing season early and extend it into the fall. This temporary greenhouse is easily constructed in your back yard to get a head start on the growing season. It has a galvanized steel and aluminum frame that is coated after drilling to ensure long life. The polycarbonate glazing is safer than glass panels. 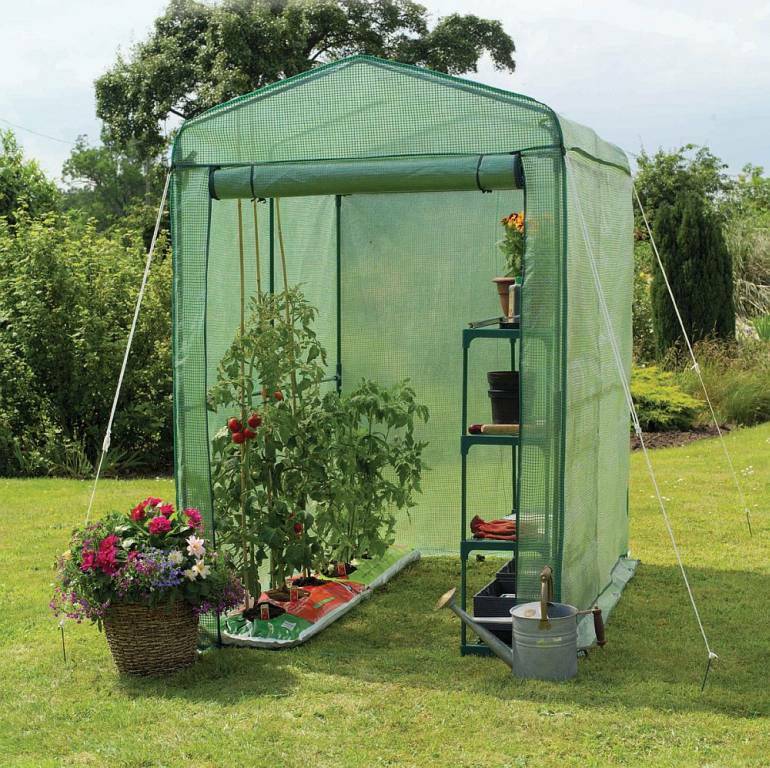 This greenhouse is easy to assemble and take down so order yours today so you can get your garden growing. Dimensions: 49" x 75" x 75"
Dimensions: 49" x 75" x 75"